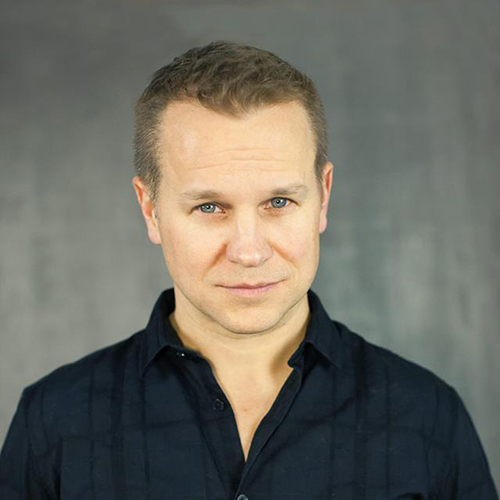 MICHAEL COLEMAN - "Dr. Watson"
Meet Michael Coleman. Michael is an award winning Actor/Writer/Director, performer and filmmaker. He has performed memorable roles on live-action shows like Once Upon a Time, Supernatural, Smallville, Fringe, Stargate SG-1, Blood Ties Film, and Eureka, as well as animated series like X-Men: Evolution, Hello Kitty, Inuyasha, Dragonball Z, Mary-Kate and Ashley in Action!, Hamtaro, and Gundam Seed Destiny. Michael's feature film writing and directorial debut was the critically acclaimed Best Day Ever: Aiden Kesler 1994-2011 (2011) and his follow up film Thirty-Seventeen is being released in the Summer of 2017. This is the first project from @Rebel West Pictures. Michael also writes and stars in the modern sitcom, Hipsterverse (TAG Channel), and has several other new scripts in development. In addition to his writing, acting, directing, and running a casting studio/institute of the arts, Michael's favorite role is "Husband" (to wife Michelle) and "Dad" to daughters Belle Charisma and Maeve Grace. Michael is also an avid hockey player and between his season tickets to his beloved Vancouver Canucks and his own team, spends several nights a week at various hockey rinks. Michael has also been involved with several charities and community groups and is a regular contributor, supporter, and advocate for The BC Children's Hospital (where he lived for a short while as a child), Inflammatory Bowel Disease, BC Cancer Foundation, The ALS Foundation, GBS, BKO (Anti-Bullying), Stigma Fighters (Awareness for Mental Health), Women in Film, and most recently DTES, a charity for women and children of Vancouver's downtown east side. Michael is playing Dr. Watson in The Doctor's Case.